Your tribe is initially bonded by a common problem they share. You develop a solution to this problem based on a combination of your wisdom and your skills. 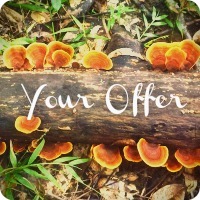 A solid offer is a direct solution to their problem, is both tangible and emotionally appealing, and is a product of your skills and experience. Once you have solved their biggest problem, your tribe is bonded by shared values and a common vision – the vision and values that you build your business on. As you and they evolve, you face new challenges and create new solutions to those challenges. While you share the same vision, they may continue to use your services and you may use theirs. This is the beauty of a tribe that works together to improve their slice of the world!